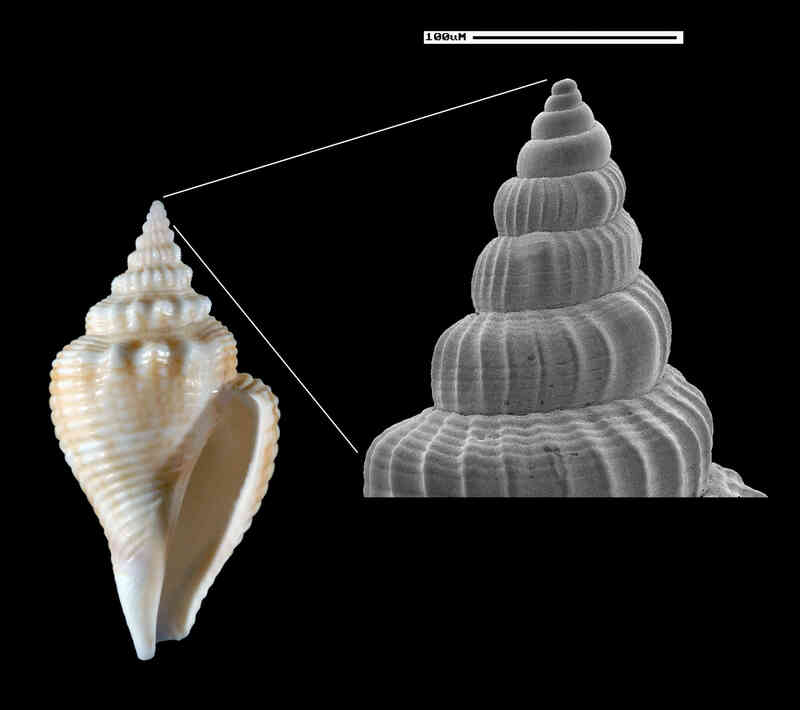 Shell size to 110 mm; shell solid with about seven whorls and relatively small, pointed spire. Early whorls with blunt spines or nodules on periphery. Latter whorls with or without blunt spines. Color extremely variable, orange, reddish-brown to dark-mahogany with markings of darker or lighter color, usually mottled or banded; albinos rare. Operculum sickle-shaped. 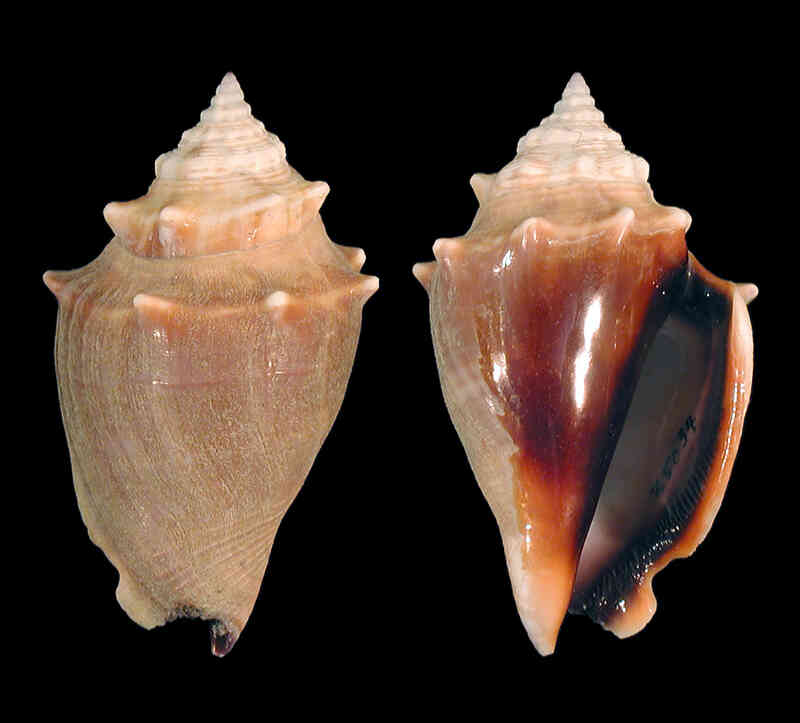 In many species of the conch genus Strombus, the juvenile (young) shell differs considerably from that of the adult. 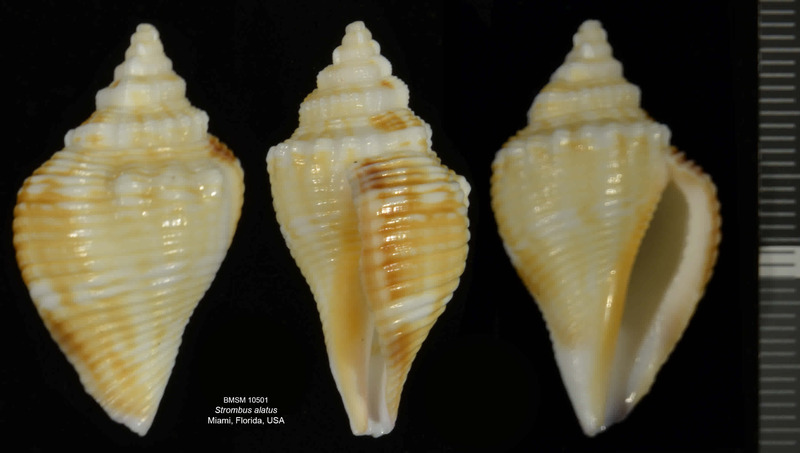 The juvenile Florida fighting conch shell (supplementary image) is more elegant, more elongated, is ornamented with a sculpture of strong spiral incised (“etched”) lines (the texture of the adult shell is smooth), and its coloration is always much lighter and delicate than that of the adult, usually white with yellowish or light-brown markings. The scanning electron microscope image (detail on right of first supplementary image) shows the protoconch, which represents the remains of the larval shell. 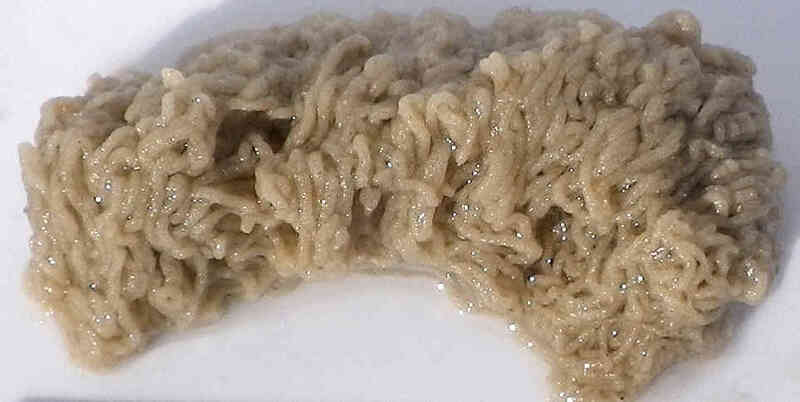 The picture of the spaghetti-like egg mass was taken by Amy Tripp in Collier County.